Produced for The Abbey Theater. A pointed finger motif is used to express the paranoid mindset apparent in the play. 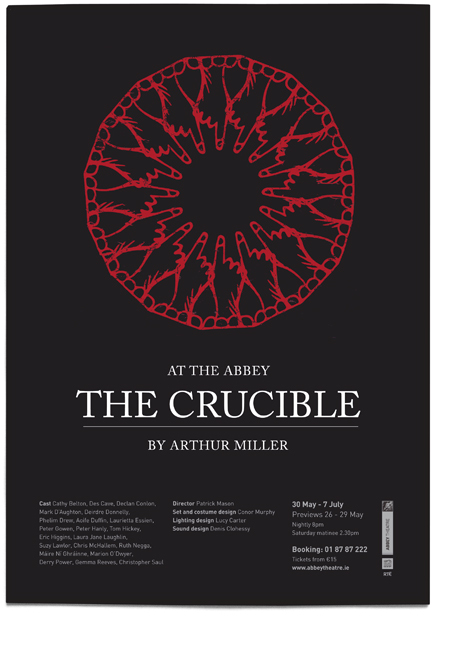 Produced as part of a suite of marketing materials for The Crucible.